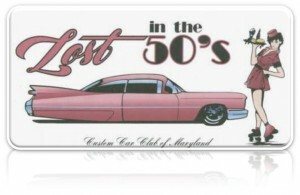 Lost in the 50’s, founded in the 1980’s by Richard Lord, is located in the Glen Burnie, Maryland area. 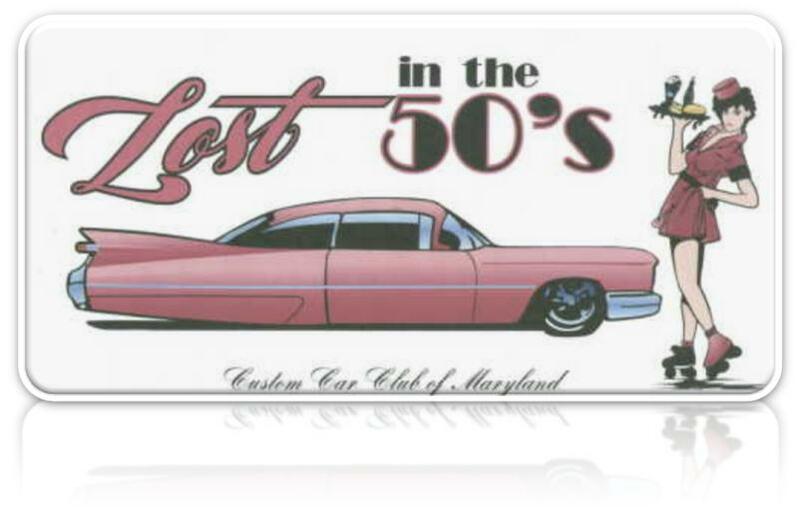 LITF is one of the largest antique automobile organizations in the state of Maryland. The club meets on the first Tuesday of each month at the Harundale Presbyterian Church located at 1020 Eastway, Glen Burnie. The club hosts a weekly night on Saturday nights at the Harundale Mall on Ritchie Highway in Glen Burnie. Prospective new members may present their qualifying vehicle, or the current registration, at any Saturday night Marley Station Cruise, or at one of the monthly club meetings. In either case, ask for the membership person. Click here for a Member Application. Due to our addition of Porta-Pots on the lot, car cruise admission is now $1 for members and $2 for non-members. Bring your car out for a ride, or just stop by and check out the cars. In addition to cruisin’, LITF members individually participate in many car shows throughout the year. Come out to see the cars, or enter your car in the shows, and help us help these great local charity events.